Chief Rabbinate angered at rabbinical group for establishing alternative kashrut authority. The Chief Rabbinate sharply criticized the Tzohar Rabbinical Organization Monday afternoon for its establishment of an alternative kashrut supervision body. The Rabbinate said in a statement: "The Chief Rabbinate of Israel is working and will continue to act to provide kashrut to the Jewish people and is currently focusing on implementing a comprehensive kashrut reform in the national kashrut system, while implementing principles of transparency and uniformity." "It is a pity that instead of enlisting to improve the face of the national kashrut system, Tzohar has instead chosen to take steps that could weaken state kashrut, all out of 'concern' for kashrut and the public," the Rabbinate added. 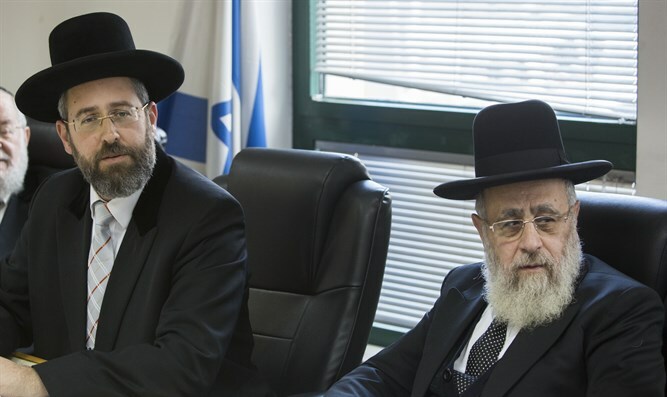 The Rabbinate stated that it was surprised that Tzohar did not wait for the new reforms to be fully implemented before taking the drastic step of establishing a separate kashrut authority. "The Chief Rabbinate does not ignore the criticism [against it], but the way to deal with it is to improve and streamline the state system. Only a national kashrut system equipped with appropriate tools, including significant enforcement tools to deal with kashrut fraud, can properly protect the kosher public and ensure a reliable kashrut system." "We can only express surprise at the fact that a body that presents itself as valuing the state and the Torah has choosen to create an alternative to the national kashrut system while showing contempt for the law. This organization is acting like others who seek to undermine the Jewish character of the State of Israel. "Private kashrut bodies that function like Tzohar intends to and various other kashrut certification bodies exist in in many countries around the world, but [in Israel], the Jewish state, the national kashrut system has only one [body], just as we have one Jewish state and one Chief Rabbinate. The attempt to replace or weaken an organized religious state body and to create an alternative to its services constitutes a blow to the structure and the integrity of the government," the rabbinate said.